Drive-in racking systems work on a first-in, last out (FILO) principle providing high density storage systems for palletised goods. 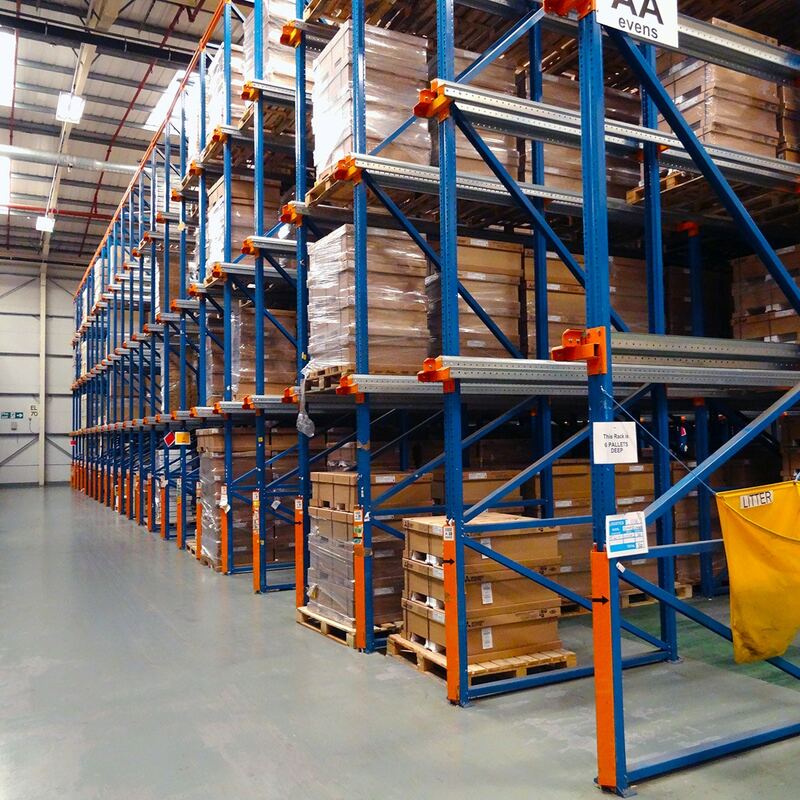 This form of racking is similar to block stacking with an added advantage of supporting each pallet- thus eliminating potential damage. A drive-in racking system is operated using a conventional reach or counterbalance forklift truck thus eliminating the need of specialised trucks. Drive thro racking systems are similarly designed to drive-in’s but have the added advantage of being accessible via either end of the rack. Drive in/drive thro racking is widely used within warehouse and cold-store environments where efficient use of space is of high importance. Want to find out more about Drive-In Racking Systems? Call Us Today! !